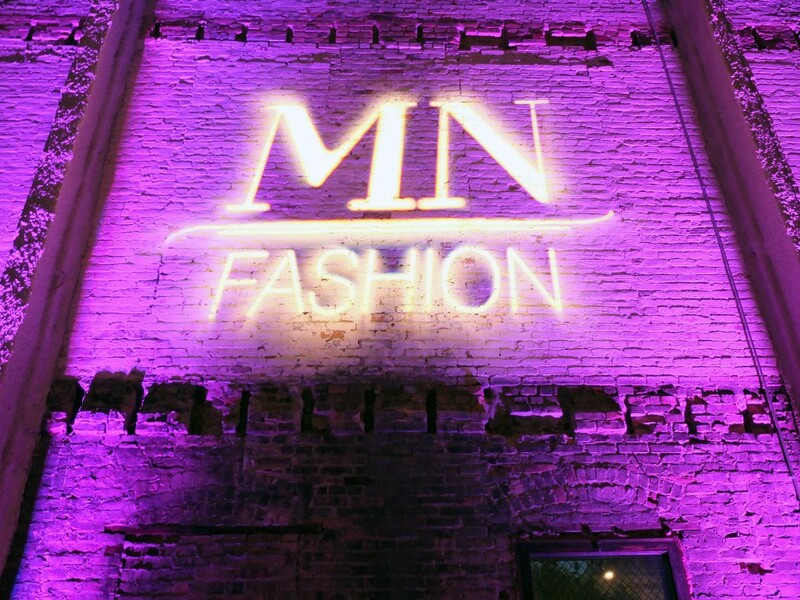 Similar to New York’s Fashion Week, MNfashion brings together several days of high fashion events and runway shows, connecting the fashion community to launch new seasons of the highest-profile designers’ work. This year’s Minneapolis-St. Paul Fashion Week showcased the Walker’s Avant Garden gala in the Minneapolis Sculpture Garden, and the Claes Oldenburg: The Sixties After Hours party where guests dressed in their favorite 1960s-inspired garb. 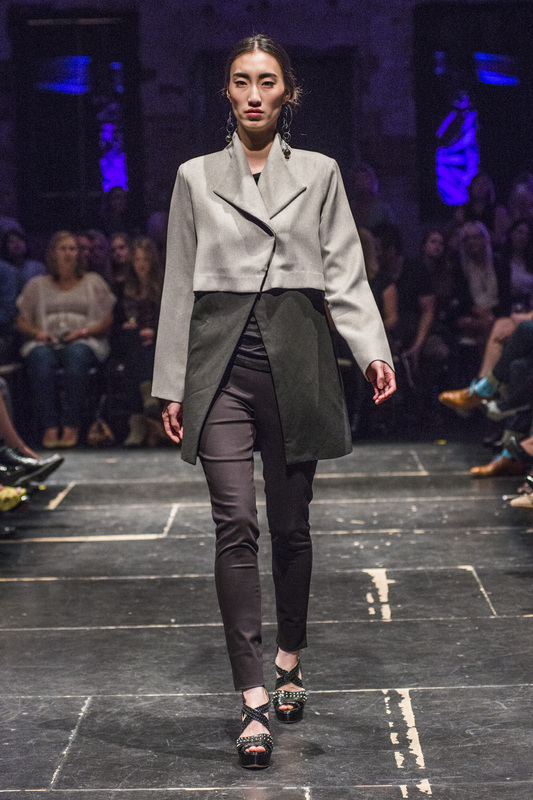 Runway shows ushered in the final days of design when MNfashion presented The Shows, a two-night extravaganza showcasing eight of the Twin Cities’ best fashion lines. With fashion forward flare, The Shows debuted Spring/Summer 2014 collections from top Minneapolis designers at Aria in the North Loop. 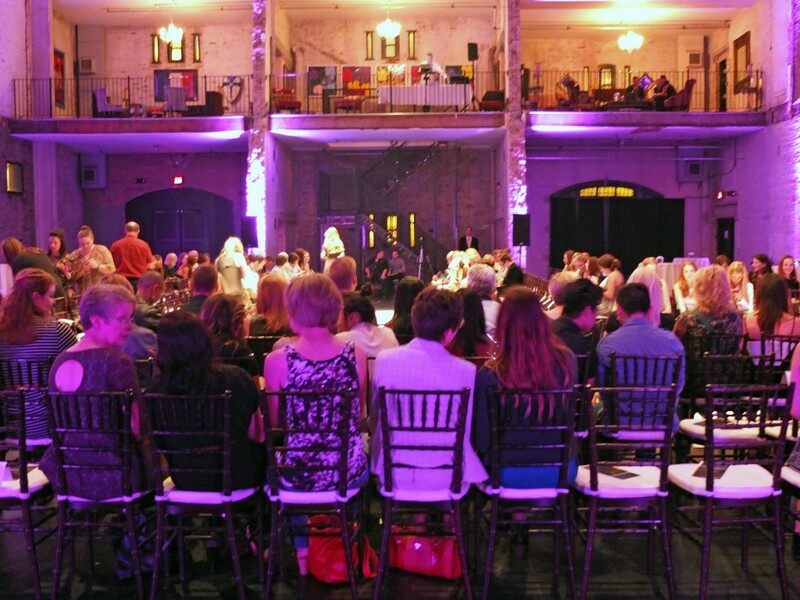 We were lucky enough to be on the sidelines of the runway for Night One to see the newest creations from Christopher Straub, Cocoon, Lisa Hackwith and Samantha Rei. Night One started with homegrown fashion celebrity Christopher Straub of Project Runway notoriety. 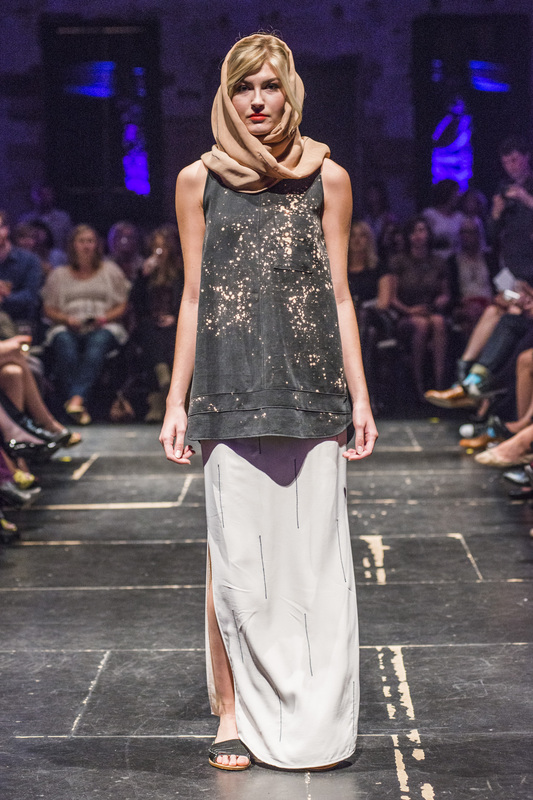 Straub’s S/S 14 collection was an easily-accessible foray into street wear, focusing on everyday casual pieces. 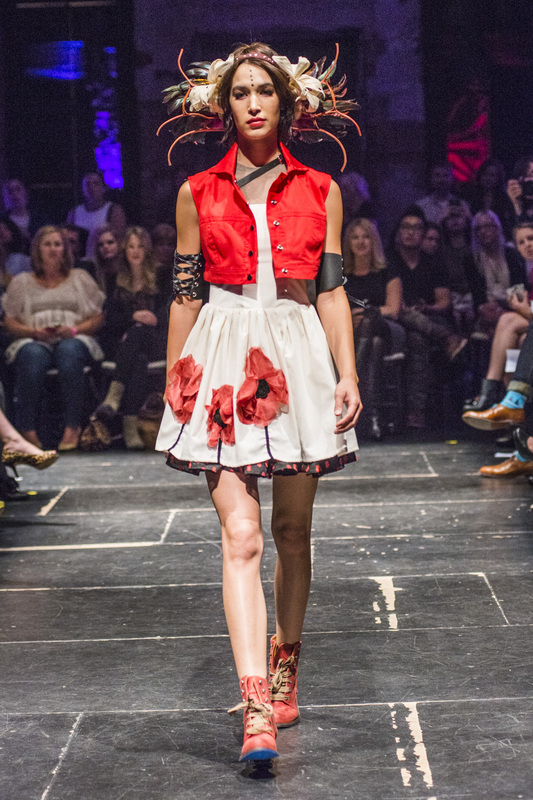 Slouchy stocking caps adorned models’ crowns as they stomped down the runway in combat boots. A muted chartreuse green pattern accented the grey, black and navy color palette to give the line a decidedly more springtime feel. Cocoon by Elizabeth Geisler also utilized neutral tones in a collection filled with tailored dresses and high heels meant for a cocktail party. The line transcended decades and styles mixing ’60s-inspired jade jewelry and ’70s-inspired geometric patterns and pairing classic cropped trousers with trendy chunky, silver studded sandals. Designs by Lisa Hackwith embodied a more subtle aesthetic, while still maintaining the creative glamour of a runway show. 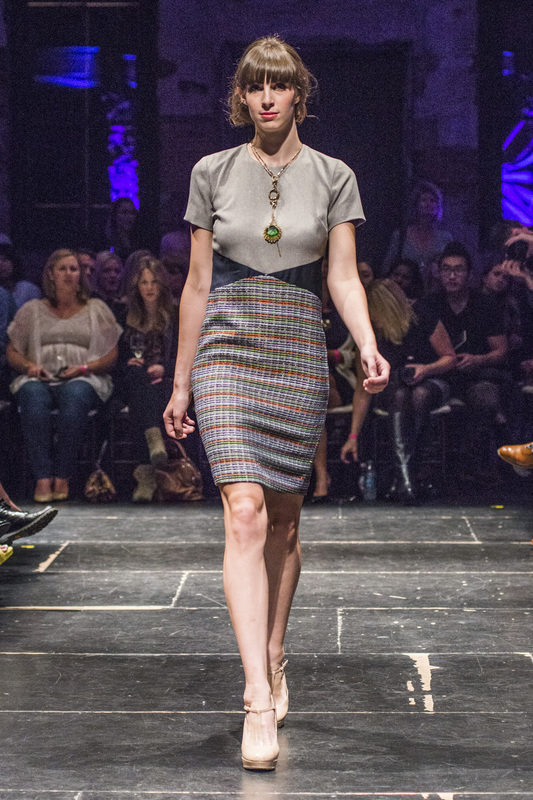 The softer tones and simple cuts of the pieces allowed for more focus upon the details and quality of the fabrics. Truly it was the subtle details of Hackwith’s designs that contributed to a cohesive concept throughout the show. 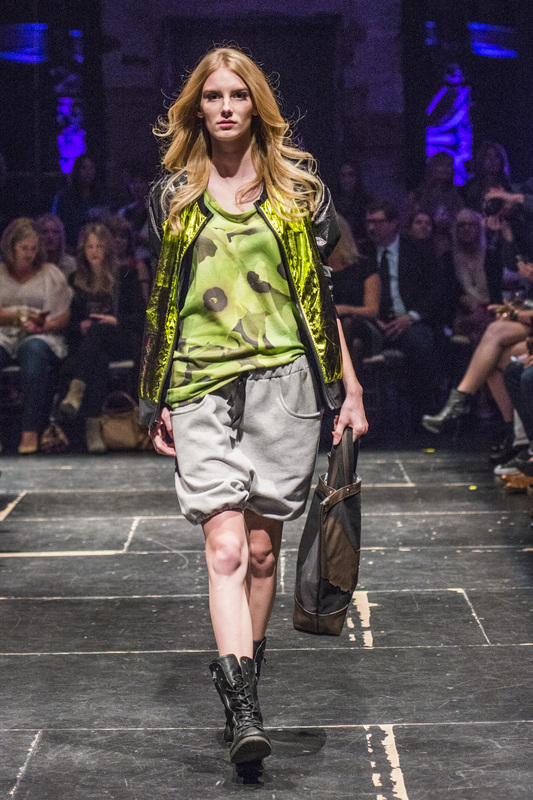 To end the show, Samantha Rei showcased her line of clothing titled Cyclone Wasteland. Rei’s pieces stood out in their balance of masculine materials as well as feminine details. The leather straps highlighted in many of the pieces were curiously balanced by lively headdresses and floral details. All of the looks were tied together with their unique balance of strength and softness. Though not subtle in detail, like Hackwith’s designs, the quality of craftsmanship and attention to detail was apparent.